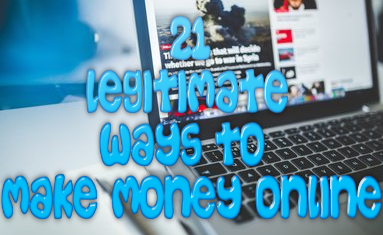 With the many different ways that you can make money online, it is no surprise that you can do so practically doing anything that you want. 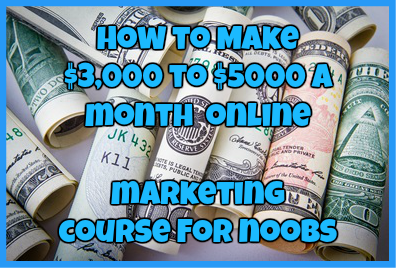 In today’s post I want to talk about how you can make money online selling art and unleashing your inner artist to make a shitload of cash. This is something that my own brother does frequently and he walked me through the process of how others can do it too. Obviously the first step that you will want to take is to create a piece of art. Whether that is a painting, sculpture or photo, this is what you will need to do. Of course you will want to make sure that your piece of art is of the highest quality and is the type of piece that others are going to be interested in. This is also a step where I highly recommend that you begin building a portfolio for yourself. Fill up an online portfolio with as many pieces of art as you can. Showcase the kind of talent that you have and show off what you have previously created. This is a site that is slowly growing in popularity but is perhaps the best place for artists to sell their work. I have personally purchased many different pieces of artwork from various artists on this website such as anime posters and Harry Potter memorabilia. This is one site I love and highly recommend to aspiring artists. This is yet another website that you can sell your artwork easily on. Just as with Etsy, this is one website that you can utilize the huge customer database to your advantage and sell your artwork. Now, this is one website that may be surprising to many people, but this is one website that even my own brother uses as a means to advertise his new art. He has made many sales from Craigslist and his customer base continues to grow because of it to this day. This is perhaps the largest online community for artists online today. Here you will find many different types of art and the best part, you can even find people who are willing to hire you for your talent. This is the best place to go to when beginning to build your online portfolio. The next thing that you want to do is build up a fan/customer base that can see all the new art projects that you are working on. Not only is this a great way to get your art out there and into the spotlight of people who may be interested in your work, but it is a great way to begin selling off your work. For this step I highly recommend that you use Instagram, Tumblr, Pinterest and Deviantart to do this. All of these different sites can give your art the exposure that it needs for you to make money off of them. However, if you are going to use these sites to your advantage, I highly recommend that you constantly update them on a daily basis to gain more followers and more interest to your work. The more constant content that you have, the more traffic you will drive to your art work. There you have it. Again while I have no personally sold a piece of art myself (I am a different kind of artist), my own brother has begun doing this with much success. He has sold many paintings of Whitney Houston, Alice in Wonderland and even Superhero themed paintings. He has also gained a pretty good following on Instagram where he advertises his work and shows off his new projects that he starts on. If you want to check out what he does, click here to go to his Instagram Account. Have you had the chance to sell your own artwork? Have any advice for any aspiring artists? Please, leave us a comment below. We would love to hear from you! ← Four Corners Alliance Group Review: Legit Opportunity or Straight Scam?